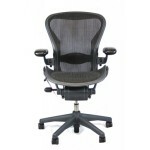 In the previous post we discussed the necessity of determining how supportive an office chair is before making a purchase. We will now begin to focus on what exactly ARE those supportive features that you should focus on. 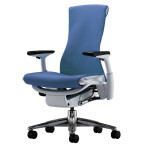 In continuing this series of posts, we will begin by listing the basic supportive features of an office chair and begin by focusing on one. The Lumbar commonly refers to the lower region of the back or spine that is begins beneath the rib cage and continues to the pelvis. As it is the lower part of the back, it is responsible for supporting more weight than any other region. It is also responsible for the most of the upper body flexibility. It is for this reason that the Lumbar region is so often the subject of much back pain and frequent injury. 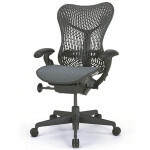 What does Lumbar Support look like? 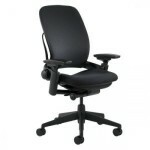 In a seated position, a chair with proper lumbar support should be flush with the small of the back. Often a separate part of the chair back or cushion is shaped and placed so that one end should be positioned up and the other down. If adjusted correctly, your ears should be aligned with your shoulders and with your pelvis further down. The curve of the support should encourage your spine to assume its natural curve when in the seated position. 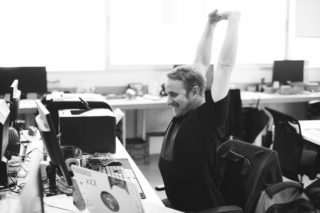 Now that we’ve discussed what Lumbar support is we will move on to discuss how to find your mojo (a.k.a. proper sitting posture) especially as it regards Lumbar support.